CBS Studios International secured licensing agreements with ProSiebenSat.1 Group and Turner Broadcasting System in Germany for Instinct. Based on the book Murder Games by James Patterson and Howard Roughan, Instinct follows a former CIA operative who returns to his life of crime investigation when the NYPD need to catch a serial killer. The mid-season drama will have its German premiere on May 23, 2018, on the pay TV channel TNT Serie, followed by its FTA premiere on SAT.1 Television. Instinct is produced by CBS Television Studios and distributed worldwide by CBS Studios International. 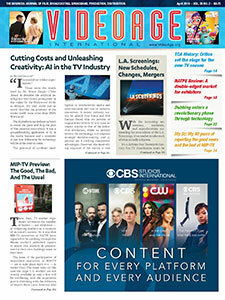 International TV trade magazine VideoAge has been the bread and butter of international television since 1981. 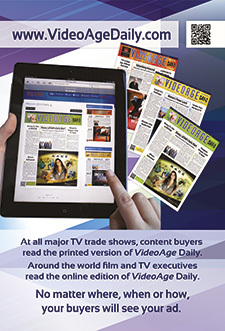 In 1982, VideoAge introduced the concept of dailies at TV and film markets, and currently — in addition to its monthly editions — publishes Dailies at NATPE, MIPTV, and MIPCOM. 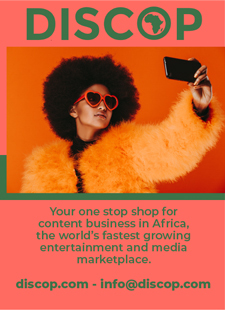 To us at VideoAge, television is more than an industry; it is a universe of stars (vice-presidents) superstars (CEOs) and quasars (chairmen) from the world of politics, regulations, sociology, psychology, finances, production, distribution, ratings, broadcasting, cablecasting, satellite, piracy, and new technology. It's our goal at VideoAge to make complex new technological topics digestible to non-geeks and rich technophobes. 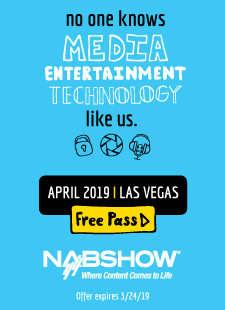 VideoAge also offers the now famous my2¢, book reviews, company profiles, previews and reports of trade shows, festivals and conferences around the globe. And it's all been available to all on the Web at the click of a mouse since 1997. Thank you for your continued patronage.